The safety and security of your employees and your work environment is critical and should not be taken lightly. An access control system provides validation and authorization of staff and guests attempting to gain access to different locations within your facility. 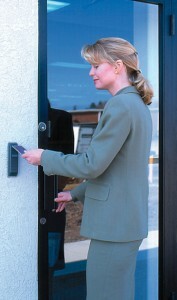 Access control mitigates the risk of unauthorized access and the potential loss of property. Card access systems allow administrators to track their employees’ activities and help monitor the overall safety of their establishments. Engineered Controls offers a full range of access control solutions that give you the peace of mind that your facility and its occupants are safe and secure. With our access control systems, you can prevent access by unauthorized visitors and restrict access to sensitive areas of your facility. Integrate access control with intrusion alarm, security video and other security systems and you will have the added benefits that will help you get better use of systems that are already present in your organization. Engineered Controls’ security management systems can be used to control and manage your HVAC units, lighting, energy, video surveillance and intrusion detection solutions as well. To learn more about how our Access Control solutions can improve your business, contact your local Engineered Controls office today. Honeywell Environmental & Energy Solutions – Engineered Controls is an Authorized Control Integrator contactor for the Honeywell WEBs or Tridium Niagara security solution. This means Engineered Controls is trained to install and program the WEB’s-AX Security solution that can work as a standalone system or integrated into other WEBs-AX building automation products as well as other third-party devices for information sharing on the enterprise level. Honeywell Integrated Security – Engineered Controls is a Certified Dealer of Honeywell Integrated Security (HIS) Pro-Watch product. This means that Engineered Controls meets Honeywell Integrated Security dealer requirements for consistently delivering the highest level of quality service to their customers. 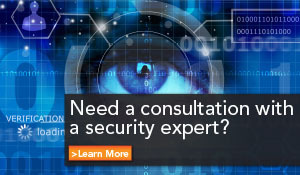 Product certification encompasses the Pro-Watch product suite, MAXPRO NVRs, MAXPRO VMS and LobbyWorks. S2 Security Corporation – Engineered Controls is a Certified Dealer of S2 Access Control and Video Management products. This means that Engineered Controls meets S2 Security dealer requirements for consistently delivering the highest level of quality service to their customers.